Essential oils are an excellent component in any first aid kit, as their antimicrobial qualities are well known, both traditionally and through scientific research, but their ability to help with wound healing and scar tissue formation, in particular, has not been as well established. While there is some anecdotal evidence that there are helpful essential oils for scarring, there has been little scientific research evidence found to date. There are several essential oils indicated for wound healing support, which may minimize scar development. Probably the best known is Helichrysum italicum, which can speed up wound healing enough that most sources recommend that it not be used in cases where a wound needs to stay open and drain. It is believed that italidones (diketones) are responsible for this healing ability (Bowles, 2003). Cistus ladaniferus has similar vulnerary qualities. Both Helichrysum and Cistus can be used neat in a cut to help slow bleeding. One drop can be added directly to the cut, or dropped on the gauze part of a band-aid, which will then cover the cut. They also both have analgesic qualities and can help with the pain. Cistus essential oil is produced from a resin. Essential oils from resins generally have reputations for their general wound and skin healing abilities such as: frankincense (Boswellia spp. ), myrrh (Commiphora myrrha), opopanax (Commiphora guidotti), and elemi (Canartium luzonicum). A few examples of other oils that support various aspects of skin healing are yarrow (Achillea millefolium), German chamomile (Matricaria recutita), palmarosa (Cymbopogon martini var.motia), patchouli (Pogostemom cablin), lavender (Lavandula angustifolia), rose absolute (Rosa damascena), carrot seed (Daucus carota), ho wood (Cinnamomum camphora ct. linalool), and sandalwood (Santalum album). Diluted essential oils can be applied to a dressing or near a wound, or directly on a smaller injury such as a scratch, small cut, or scrape. Helichrysum is most effective at 1% or less dilution (Schnaubelt, 2011), and oftentimes this is true of many of the essential oils, even in acute situations like wound healing. Dilute the whole blend of selected essential oils to 2-3% and apply at each dressing change, or several times a day on exposed skin near a wound. As the wound heals and closes, the blend can be applied directly to the wound to minimize scarring. Several herbal oils, hydrosols, and gels make excellent carriers for the essential oils, contributing strong healing qualities of their own. Helichrysum or Rosalina (Melaleuca erica folia) (Stillpoint Aromatics, n.d.) hydrosols can be used as a spray, and can be especially effective in those cases where the wound cannot be touched. Aloe vera gel can be mixed with the hydrosol or used as a carrier on its own. Tamanu (Calophyllum inophyllum) oil is well known for its powerful wound healing abilities. Although the best way to use essential oils for scarring is through careful prevention, this is not always possible. Sources that claim that essential oil blends can be used to reduce, yet not eliminate existing scars, all agree that it requires frequent daily application of the blend over a period of several months. Many of the same ingredients that are used for wound healing are also indicated in scar reduction. The most commonly listed ingredient is tamanu oil, so this would be the most important ingredient in any blend of essential oils for scarring. Other indicated fixed oils are argan (Argania Spinosa), rosehip seed, avocado, and jojoba (Simmondsia Chinensis) (Price & Price, 2012). Helpful herbal infused oils include Gotu kola (Centella Asiatica) and comfrey (Symphytum officinale) (Shutes, n.d.). Essential oils would include those already listed. To minimize a new scar, a 3% dilution can be applied for a week or so, then changed to a 2% dilution to use until the wound is fully healed. For an existing scar, a 2% dilution can be applied several times a day. This may need to continue for several months before progress is visible. Kurt Schnaubelt (2011) recommends placing 1 mL Helichrysum italicum and 15 mL rosehip seed oil in a 4-ounce bottle, which is then filled with another carrier oil to apply to existing scars, two to three times per day. Whether the product is a cream, lotion, massage oil, or body butter, tamanu oil, rosehip seed oil, helichrysum essential oil, and a resin-based essential oil would all be excellent ingredients to include. You can add other recommended ingredients as desired to make an appropriately diluted blend that can be used to minimize scarring or reduce existing scars. Bowles, E. J. (2003). The chemistry of aromatherapeutic oils 3rd edition. Crows Nest: Allen and Unwin. Price, S. & Price. L. (2012). Aromatherapy for health professionals. London: Churchill Livingstone, Elsevier. Schnaubelt, K. (2011.) The healing intelligence of essential oils. Rochester, VT: Healing Arts Press. Shutes, J. (n.d.). Herbal oils materia medica. 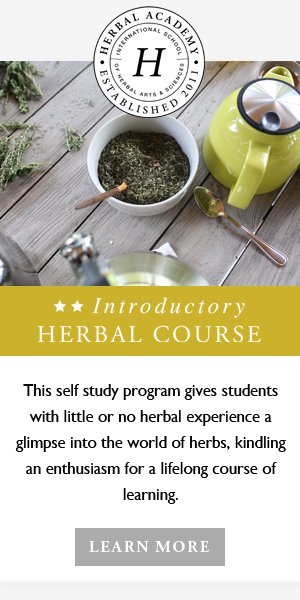 East-West School for Herbal and Aromatic Studies.